Bill Wagner started solving them employing new C# 3.0 features and post them in MSDN Code Library. Follow his blog post series to learn them. 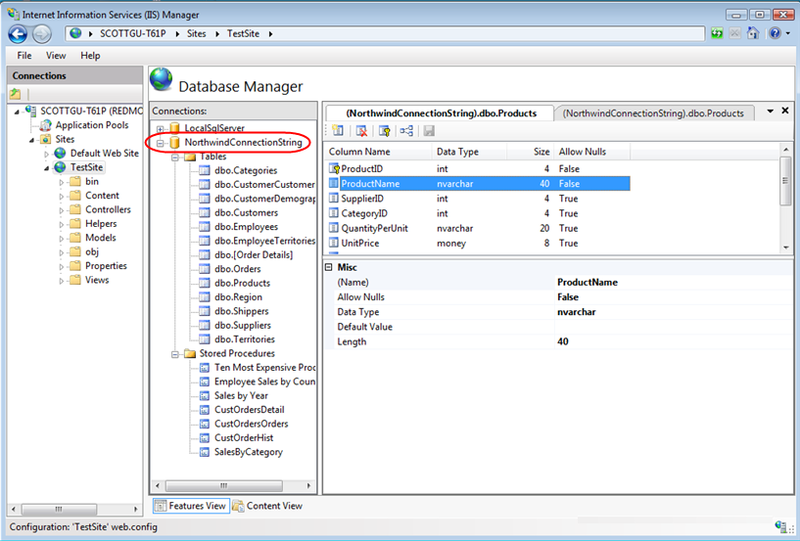 Database Manager: Built-in SQL Server database management, including the ability to create, delete, and edit tables and indexes, create/edit SPROCs and execute custom queries. Because it is integrated in the IIS administration tool it all works over HTTP/SSL - which means you can use the module to remotely manage your hosted applications (even with low-cost shared hosting accounts), without having to expose your database directly on the Internet. 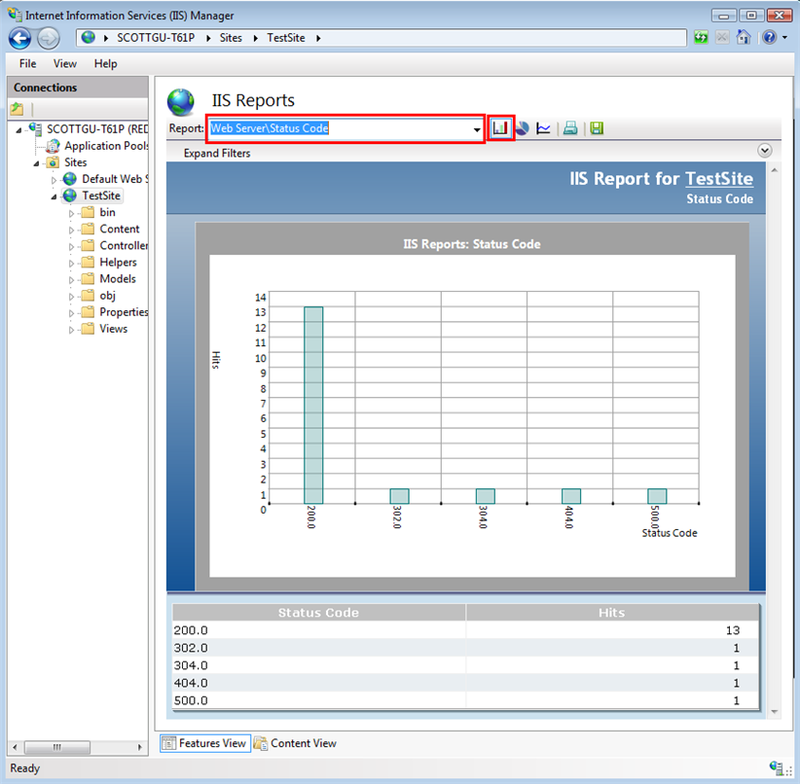 Log Reports: Built-in report visualization with charting support for log files data. Full range selection and custom chart creation is supported, as well as the ability to print or save reports. Like the database manager you can use this module remotely over HTTP/SSL - which means it works in remote shared hosting scenarios. Configuration Editor: This is a power module that provides complete control over editing all web.config settings within the admin tool. You can configure it to track the changes you make using the UI and have it auto-generate configuration change scripts that you can then save and tweak to re-run later in an automated way. Request Filtering UI: This admin module provides more control over the new request filtering feature in IIS7. Check out Carlos' blog post here for details on how to use it. .NET Authorization: This admin module provides a custom authorization rules editor which allows you to more easily manage the ASP.NET <authorization> configuration section. FastCGI UI: This admin module provides more support for editing all the new <fastCGI> settings (for when you use FastCGI modules with IIS7 like PHP). 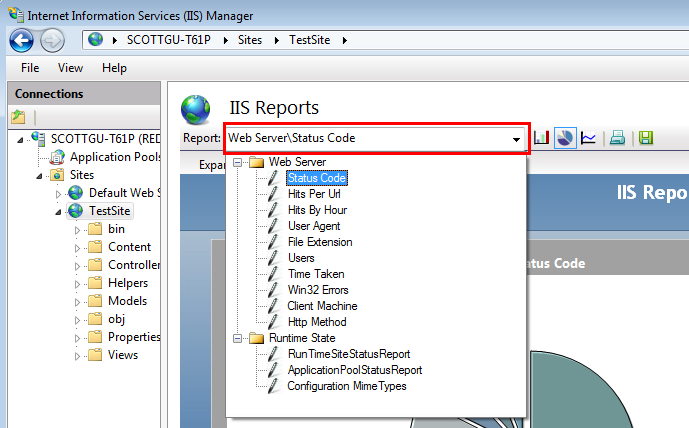 Web Server\Status code: This report gives the comparison between number of hits and status code. Web Server\Hits Per Url: This report gives the comparison between number of hits and the Url. Web Server\Hits By Hour: This report gives the comparison between number of hits and the Hour. Web Server\User Agent: This report gives the comparison between number of hits and the User Agent. Web Server\File Extension: This report gives the comparison between number of hits and the file extension. Web Server\User: This report gives the comparison between number of hits and the User. Web Server\Time Taken: This report gives the comparison between Average time taken and the Url. Web Server\Win32 Errors: This report gives the comparison between Hits and the Win32 Errors. Web Server\Client Machine: This report gives the comparison between Hits and the Client Machine. Web Server\Http Method: This report gives the comparison between Hits and the Http Method. CarlosAg blog post - the guy who directly runs this team. I've just read an interesting article on Wired.com: The Micro-Multinational. By subcontracting out the generic parts of his job, the programmer gives himself a promotion. The Indian developer is well paid. The employer gets good code. I would strongly disagree: at least the employer gets code with a delay because of additional communication between a US programmer and the one in India. I am also strongly for outsourcing as long as it put a brilliant people together to create a better product. But the quality should not suffer. Also it is not very loyal to keep this as a secret to the management because delays should be considered in the estimations (which are hard enough to create :) in software business ). How big is .NET Framework!? This comes with the price - the price of the size! Is it huge or I am getting old??? I feel this when beginner devs are asking me where to start from. Thanks, Brad for this interesting info! Brad Abrams asked in his post: "Any guesses on how many types will be in .NET Framework 4.0?" How large are your stress tests?! Stress test is a fun:) I even wrote an article about load testing using old-fashion WCAT. Ed Glas from adCenter team posted a blog entry saying they have tested 100+ servers. And this is done with Visual Studio Team System. Imagine this scenario - a client connects to your video site, clicks on your featured video, watches 5 seconds of it to realize they have no interest in watching further, and move on to the next video. In those 5 seconds, the server could have sent out 5 minutes worth of the video, and you paid for 5 minutes worth of bandwidth. With the bit-rate throttler + media bitrate detection, the server would only end up sending a little over 5 seconds worth, and you would end up paying only for what was used. Read full blog post of the daddy of this project. As project codename Astoria has new name "ADO.NET Data Services Framework " and it is part of ASP.NET 3.5 a.k.a ASP.NET futures it has its place on asp.net site. There are plenty of samples and descriptions what is it and how to use from client and server site. If you struggle what is REST and how it is different than well known web services take a look at this web presentation: Reconciling Web Services and REST Services. The registration for the biggest annual event for developers in IT pros in Bulgaria is open. It will be held in International Exhibition Center - Sofia, Bulgaria. For second year in row it is paid event but the price is very low for the knowledge one can gain - it is just 50 EUR. I am going to present two sessions: LINQ to XML - Data Access Technologies and IIS7 for Administrators. If you're particularly interested in some details drop me a line and I will try to cover it. In case it is too specific to present we can chat after the session. Almost forgot: The event will take place at April 24th and 25th 2008. LINQ is a nice way to write a more readable code but sometimes it is diffucult to understand the actions and the order they happens. 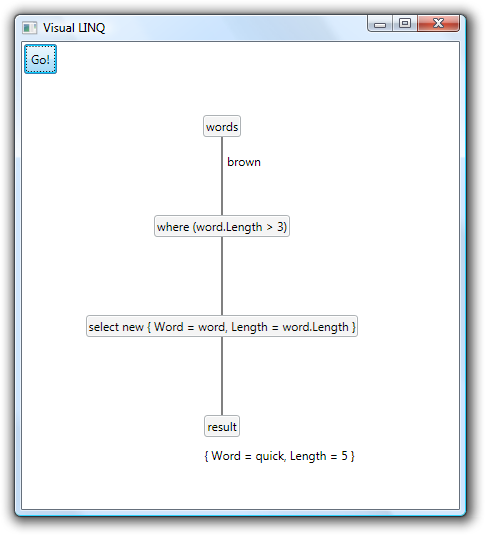 'Hawaii': A Visual Studio Paradise for Developers?! C# 4.0? After it ships the "Whidbey" and "Orcas" versions of its popular Visual Studio tool set, Microsoft Corp.'s Visual Studio development team is headed for "Hawaii." Hawaii is the code name for a version of Microsoft's Visual Studio tool set two versions beyond Whidbey, also known as Visual Studio 2005, according to sources familiar with Microsoft's plans. Hawaii will be a completely redesigned tool set, aimed at taking developers well beyond current capabilities, the sources said. Although Microsoft had been using the names of Pacific Northwest islands, such as Whidbey and Orcas, to code-name new versions of Visual Studio, developers chose the code name Hawaii because it takes developers much further than the other two versions and also because the team plans to celebrate redesigning the IDE (integrated development environment) in Hawaii, sources close to the company said. Also here are some news about C# v4.0: C# will have dynamic lookup - this is what VB devs call "late binding".